Donna Joyce CLC - Stress & Anger Management :: sidetaker. I can help you with your journey to fulfill your dreams and face challenges at home, at work or school, your job, or in a relationship. Nothing is impossible when you have the help and guidance that you were always meant to have. You will not be disappointed in your choice. Certified Life Coach, Certified NLP Practitioner, Certified Law of Attraction Basic & Advanced Practitioner, Certified Advanced Hypnotist, Doctor of Metaphysics, Certification Spiritual Counselor, Credentials of Ministry. 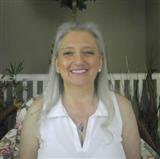 I am trained and certified in Life Counseling, Life Coaching, Hypnotherapy, as well as NLP (Neuro Linquistic Programming.) I have over 30 years experience and have a Degree as Doctor of Metaphysics. I am also a Spiritual Counseler and I am an Ordained Minister for those seeking suggestions and guidance in those areas. Your sessions with me will be confidential, compassionate and most of all respectful to your needs, challenges and the solutions to overcome them.